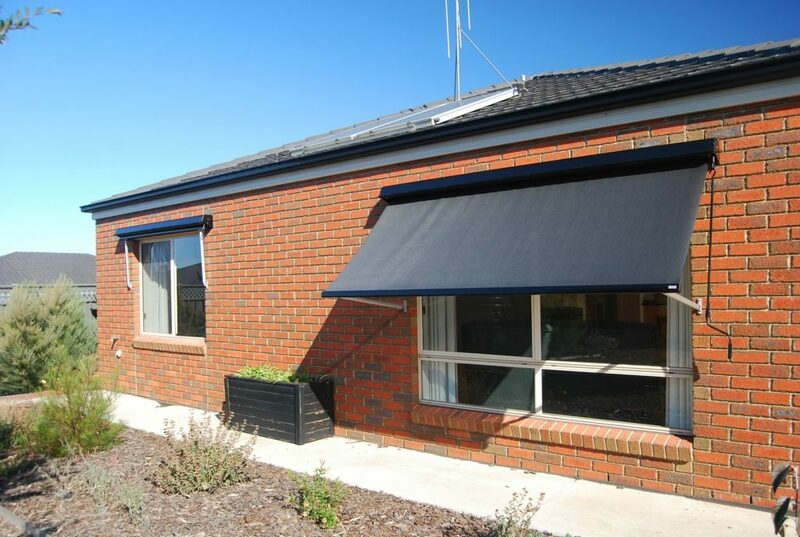 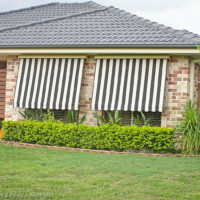 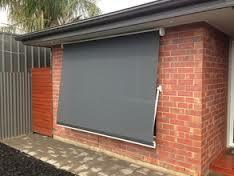 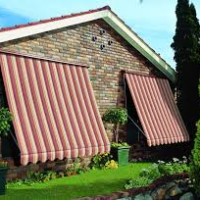 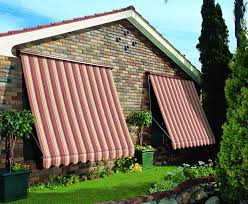 Auto Awnings remain a timeless and classic window shading option at a very affordable price.. 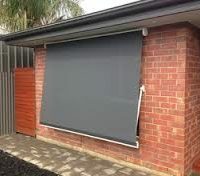 Fixed guide Awning over a hard to reach second story window will compliment an auto awning on the ground floor offering a similar outlook for the whole building. 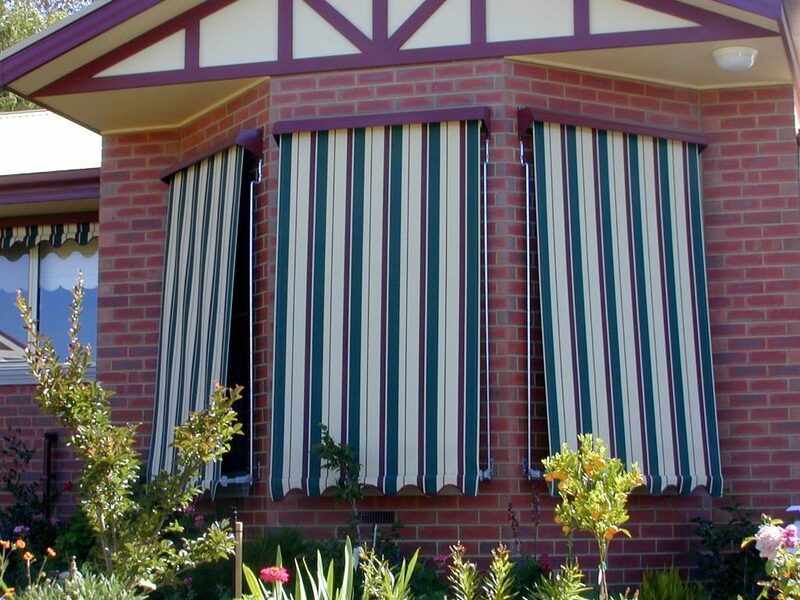 The fixed guide is available in manual operation using a rope and pulley, gear box or motorised. 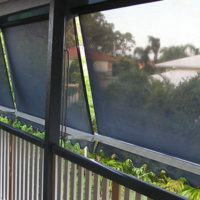 Featuring a fixed steel guide running parallel to the awning the bottom bar is held and runs along the guide with a nylon lined runner. 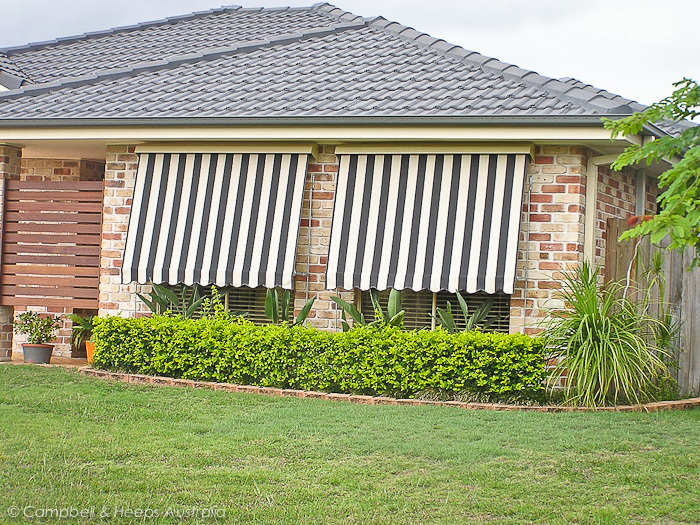 The guide can be projected at an angle by L brackets to achieve a stand out similar to that of an auto awning. 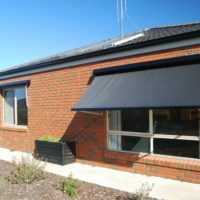 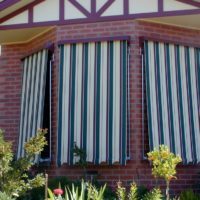 Pivot Arm Awnings are ideal for second story or hard to reach windows as they provide a range of operation options including gearbox, motorisation and exterior or interior rope or winch.